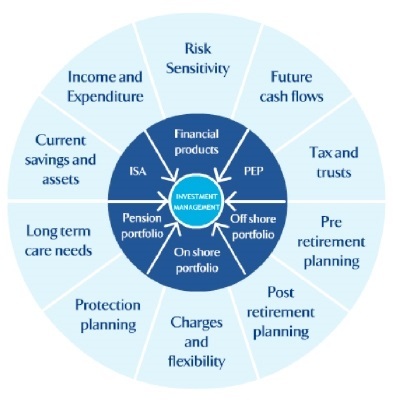 Investment planning may be the single biggest factor to consider when developing a wealth management plan. A deep understanding of expectations of income, risk tolerance, time horizons, feelings towards income and capital gains tax, constraints, attitude and expectations for communication, and liquidity needs are just a few of the key factors that must be considered developing an investment portfolio. Investment planning seeks to accomplish two equally important goals that naturally conflict with each other. The first goal is to maximize returns on investments. The second is most often to minimize risk while achieving the maximum returns. Effective investment is designed to balance these two goals so that you can achieve your desired outcome. It is a critical component of a wealth management program and must take into account the following factors.